ONTARIO, Canada – With two headline shows in Ontario, Alice In Chains recently completed its North American tour, where the band performed in theaters and arenas with capacities ranging from 1,500 to 4,000 seats. Having stocked HARMAN inventory for 25 years, live production company Creative Audio provided full production elements for the show including JBL VTX line arrays and Crown I-Tech HD power amplifiers. A month-long endeavor consisting of four to five shows a week, the Alice in Chains tour featured heavy rock music with high SPL levels. To support the intensity of the shows, Creative Audio supplied the band with 24 JBL VTX V25 loudspeakers, 16 VTX G28 subwoofers, 12 VERTEC® VT4888 loudspeakers and 28 Crown I-Tech 12000HD amplifiers. Two Creative Audio technicians traveled with the band during the tour, assisting with setup and teardown for every show. 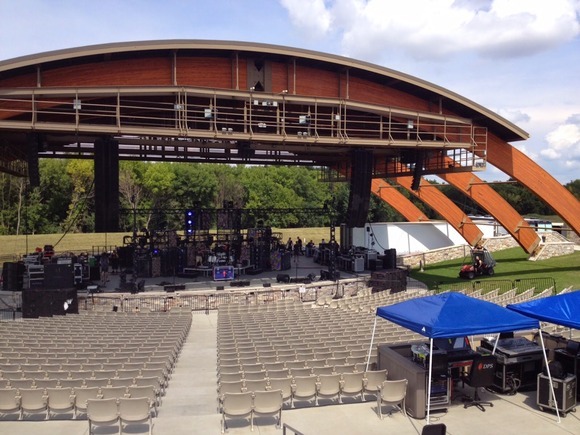 Having transitioned to the latest JBL technologies, they took full advantage of JBL HiQnet Performance Manager™, as well as Crown’s I-Tech HD amplifiers. Creative Audio currently plans to double its VTX inventory within nine months.